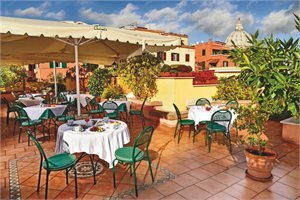 Hotel Diana Roof Garden is an elegant hotel centrally located in the historical district and close to popular shopping streets, Trevi Fountain and Roman Forum. After a day exploring the city, dine at the hotel restaurant or relax with a drink at the bar and café. 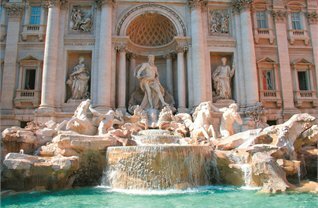 Includes: Return shuttle transfers from Rome Fiumicino Airport to hotel between 6am-10pm. Aurelia Residence offers studios and apartments situated in the heart of the Eternal City. With cooking facilities in all rooms, this property is perfect for families or anyone wanting to self-cater. Located on the west side of the Tiber, Aurelia Residence is an easy walk to the Vatican. 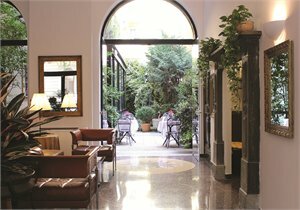 Located in an ancient 17th century palazzo, the hotel is just 50 metres from St Mark’s Square, the Doge’s Palace and Bridge of Sighs. All rooms are traditionally designed with a refined style and enjoy breathtaking views of the canal or the Venetian terracotta tile roofs. The Wine Bar HK offers the opportunity to combine a wide selection of fine wines with typical appetisers, the perfect way to end your day in Venice. 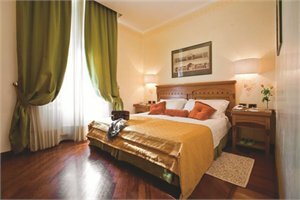 In the heart of Venice and a short distance from St Mark’s Square, Hotel Kette offers Venetian styled rooms with large windows overlooking the canals and city. Set in a 16th century building, this property is in a great location to explore museums and the Rialto Bridge. NOTE: Room is based in 1 Queen Bed. 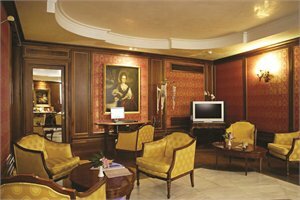 Grand Hotel Cavour is in the heart of Florence, just minutes from the monuments that make it the world’s most unique city. Be amazed by the extraordinary views from the rooftop terrace, from here you can see the Cathedral of Santa Maria and Brunelleschi’s Dome. Includes: Return private transfers from Florence Peretola Airport to hotel between 7.01am-8.59pm. Located in the heart of the vibrant neighbourhood of Porta Venezia and Corso Buenos Aires, Hotel Sanpi Milano is a lovely hotel in a great area to explore Milan. 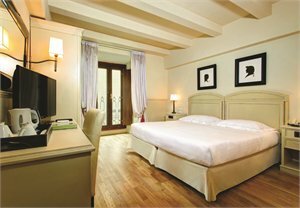 The hotel is a restored 19th century palace with a beautiful inner garden, the perfect oasis away from the hustle and bustle of the city. 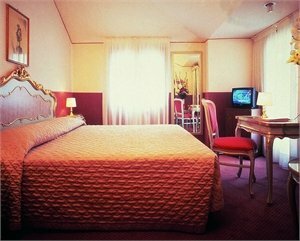 All rooms are elegantly styled with warm colours and offer free Wi-Fi, air-conditioning and some have a spa bath. Includes: Return private transfers from Milan Malpensa Airport to hotel between 7.01am-8.59pm. Save 10% for stays 1 Apr - 4 Apr 19, 15 Apr - 18 Apr 19, 22 Apr - 25 Apr 19, 29 Apr - 30 Apr 19, 1 Jul - 4 Jul 19, 10 Jul - 11 Jul 19, 15 Jul - 18 Jul 19, 22 Jul - 25 Jul 19 & 29 Jul - 31 Jul 19. 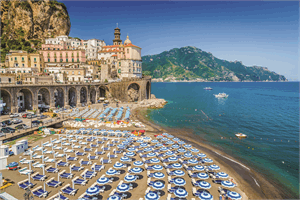 Travel to Amalfi, Naples and Pompeii via the breath-taking Amalfi Coast. Visit picturesque fishing villages in Positano, see the ruins at Pompeii and plunge into the Mediterranean Sea. City tax is not included, to be paid directly to hotels. Journey to the rolling hills of the Chianti Region, the old city centre of Siena, and the famous Leaning Tower of Pisa. 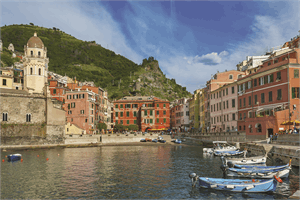 Visit the five fishing villages that make up Cinque Terre and wander through the narrow streets filled with shops. City tax is not included, to be paid directly to the hotels. 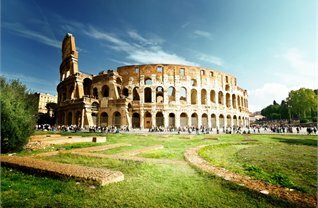 Departing from Rome, this tour of Italy's classics are sure to please. Visit the stunning churches in Florence, Padua, Venice and Milan. Enjoy a bus tour of the picturesque Como Lake area and while in Milan a tour will show you the sights and allow time for shopping. ^Not all departures will have a bilingual guide. 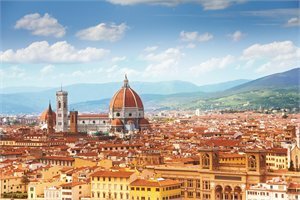 This seven day tour visits Northern Italy, the famous Lakes, Cinque Terre and medieval villages in Tuscany. Explore the beautiful medieval city of Siena as well as Florence. 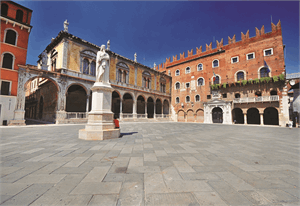 Stop in Verona, Venice and the shopping capital of Milan. Departing from Bari, discover the fascinating old town of Apulia before arriving into Alberobello, famous for its fairytale Trulli houses. 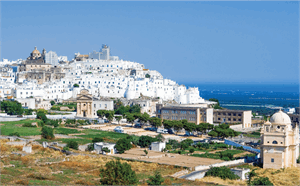 Travel to Ostuni and explore the medieval whitewashed alleys. Admire the UNESCO Sassi of Matera, ancient cave dwellings that are still in use today. PACKAGE TERMS & CONDITIONS: It is our policy to present the cost of our holidays inclusive of all airport and government charges. Please accept however that these charges are not within our control, therefore we reserve the right to pass on any increase.. Travel agent professional service fees where charged, will be additional to the advertised prices. Closeout and blackout periods apply over school holidays and peak holiday periods & availability of seats & rooms is likely to be very limited over this time . Valid for sales to 31 Jul 2019. Valid for travel commenced and completed within the period 3 Apr 2019 to 31 Oct 2019 (unless otherwise specified).Land only, airfares additional. Coach and launch transfers are not included unless stated otherwise. Please note there is limited availability on the advertised room types. Twin bedding must be requested if required. City tax per person is not included and is payable direct at the property. Guided Tours may require minimum numbers to operate. All pricing is subject to change until a reservation is confirmed. A non-refundable deposit may be required at the time of booking, please enquire. Strictly subject to availability for all components. Valid for new bookings only. Not valid for group travel. Offer is subject to availability and blackout dates may apply. Please enquire for an up to date price at the time of booking. Prices shown are based on per person costs in New Zealand Dollars, for payment by cash, cheque or eftpos only. Credit card sales not permitted unless Travel Agent acts as a merchant. Capacity limitations apply and may not be available on all services. Events beyond our control such as currency fluctuations and changes to the price of aviation fuel may result in prices variations . Strict cancellation fees apply. Packages are based on consecutive nights. For split stays please contact your travel consultant. For full terms and conditions and cancellation fees please contact your local travel agent for more information. Trade enquiries via GO Holidays.